University of Oklahoma golfer Brad Dalke finished as the runner-up in the 116th U.S. Amateur on Sunday. The prestigious competition was held at the Oakland Hills Country Club in Bloomfield Hills, Mich.
Dalke, a rising sophomore, fell to Curtis Luck of Australia, who is ranked No. 7 in the World Amateur Golf Ranking, in Sunday’s 36-hole championship match, 6 and 4. The golfers went back and forth throughout the first round. After the 11th hole, Dalke was 2-down, but he bounced back to win holes No. 13, 15 and 16 to go 1-up. However, Luck won hole No. 18 to make the match all-square at the break between rounds. Dalke opened up the second round with a birdie to take a 1-up lead. Then, Luck won the next eight holes to put Dalke 7-down. Dalke took advantage of Luck’s bogeys on the 10th and 11th holes to win both, but he could not overcome the deficit. The golfers halved holes No. 12 and 13, and Luck won No. 14 to seal the match. The finalists were the last remaining competitors from a field that began with over 300 of some of the world’s best amateur golfers. After two rounds of stroke play, they made the cut of 64 before advancing through five rounds of match play to the championship match. As finalists in the U.S. Amateur, both Dalke and Luck will receive an exemption to the 2017 U.S. Open. Additionally, although it is not guaranteed, it is customary for The Masters to invite the finalists to compete. "Brad just fulfilled a dream-come-true type of week, and I couldn't be more happy for him," OU head coach Ryan Hybl said. "He will disappointed in today's outcome, but it is so difficult to win every match. This should give him and our program that much more confidence heading into the fall season." Dalke’s finals appearance capped off a successful summer for the Oklahoma men’s golf program. In June, rising sophomore Aaron Terrazas won the Mexican Amateur Championship and rising junior Rylee Reinertson took the title at the Nebraska Match Play Championship. 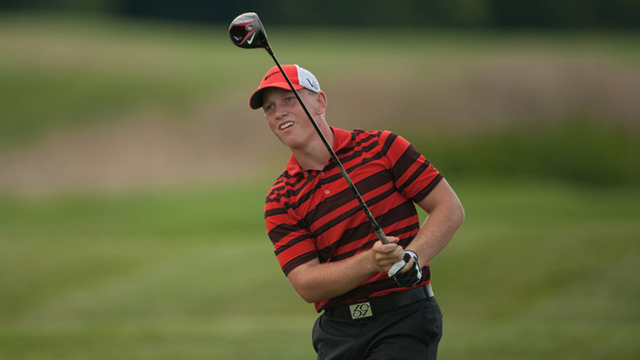 In July, rising redshirt freshman Quade Cummins was named Oklahoma Amateur Champion. Additionally, rising senior Max McGreevy advanced to match play at the elite Western Amateur earlier this month. The Sooners will look to carry the momentum from the summer into their fall season, which is slated to begin Sept. 2-4 at the Carmel Cup, held at the iconic Pebble Beach Golf Links in Pebble Beach, Calif.